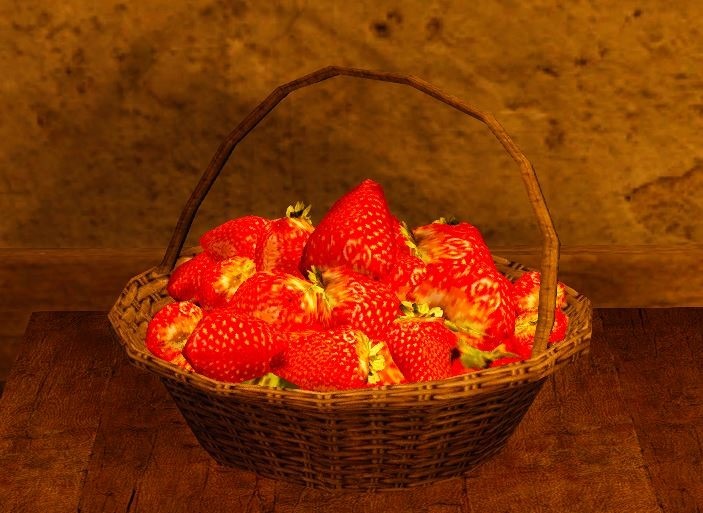 A basket with a lot of strawberries. Strawberries are traded at a higher price because they go bad quickly. To acquire this item, plant the Small White Seed sold by seed vendors.